INT-O Yellow is a color with a cause. 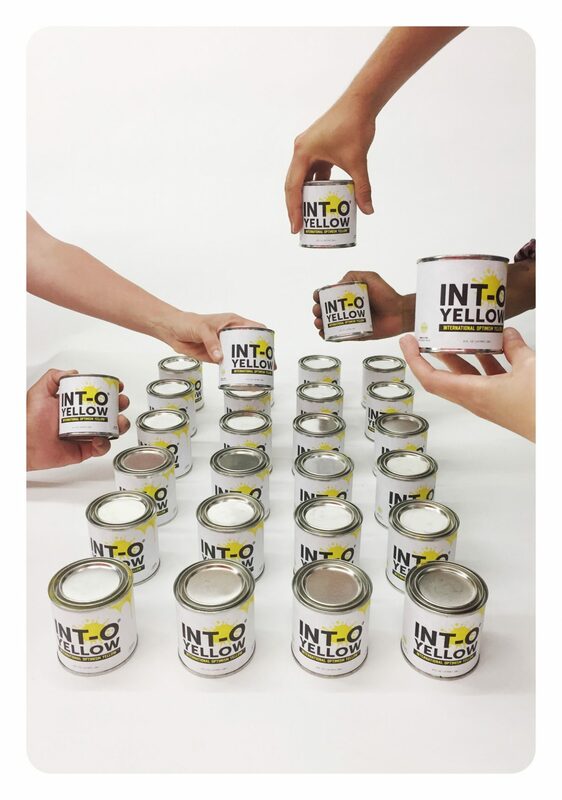 INTOyellow is a color that was developed as a platform for participation and collaboration between: Pantone, artist Uncle Riley, UMEWE and YOU. It was conceived as a tool to explore Optimism and positively impact reality. 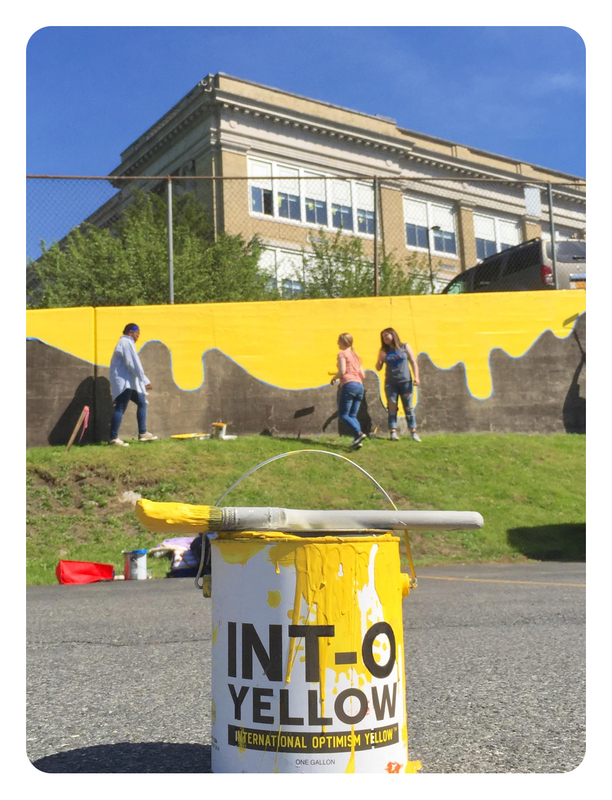 INTOyellow is also an inspiring movement of communities uniting to raise awareness of Mental Health Month (May) and brighten their cities through collaborative programming of art, education, fundraisers and activations. Join in! We are happy to share ideas, tools and assets to help communities (big and small) get INTOyellow. 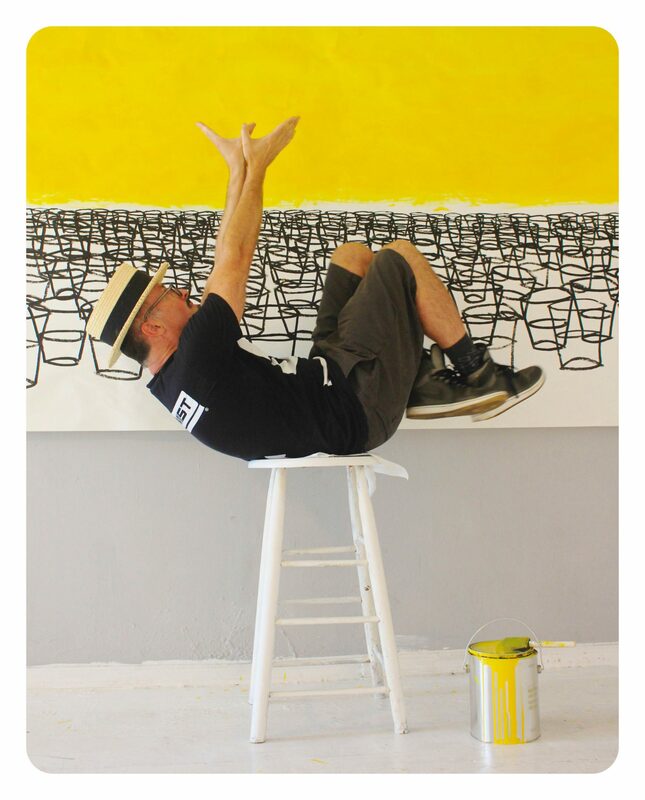 INTOyellow started as a way to inspire artists to explore Optimism. Over the years, creators have embraced the color to make a range of work from paintings and sculptures to photography and performance art. 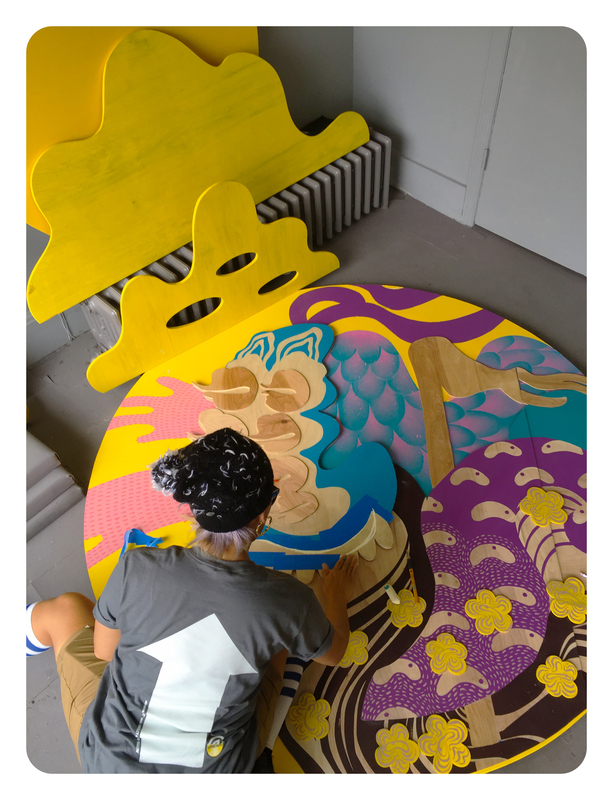 Making with INTOyellow is a way to explore new creative possibilities and to join a community of people generating more Optimism in the world. G. Riley Johndonnell is a conceptual artist and social activist who explores Optimism as a spiritual practice and as an art ‘Ism’ (just as Cubism, Modernism, Minimalism are ‘isms’). His personal and public works instigate transformation and challenge our perception of what is good and bad, dark and light, positive and negative. Making with INTOyellow is a way to explore new creative possibilities and join a community of people generating more Optimism in the world.